Sox-based image solutions leader Socionext today announced the availability of a 360 ° panoramic camera design solution with a built-in Milbeaut® family of image signal processors. Socionext's products include two products to meet the growing demand for 360 ° camera applications. Semi-professional model based on the company SC2000 high-performance processor, with real-time 4K image mosaic function. General consumer models and Cypress Semiconductor and ImmerVision co-design, built MBG967 IoT series processors. Both solutions come with circuit board design reference information and software development kits. Equipment manufacturers can easily develop customized high-performance dome cameras for their unique applications. Real-time 360 ° image capture needs are rapidly increasing, including virtual reality video real-time playback applications. In order to meet these needs, Socionext and Cypress and ImmerVision jointly developed a can connect smart phones and other mobile devices camera accessories. The "EZ-USB® CX3" bridge chip is compatible with USB3.0 and USB 2.0, and supports USBvideo class (UVC), which provides high-resolution, high-speed image capture connections. ImmerVision's patented Panomorph optical technology and software can shoot high-quality 360 ° images even on small camcorders. With these advanced technology from partners, Socionext introduced the built-in MilbeautIoT processor 360 ° camera solution MBG967, the program can simultaneously handle the input data from the two cameras. The solution's first product is two 16-megapixel cameras mounted on an 8cm x 8cm circuit board. Socionext will continue to expand its product line to meet a variety of resolution and frame requirements. 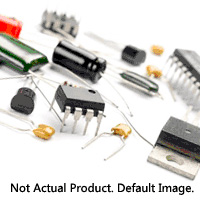 You can buy them from electronic component distributors. The SC2000 is designed for high-performance cameras that require high-speed processing of large amounts of image data. This product uses Socionext's proprietary image processing algorithms, which consume less than 2W in a typical work environment. Users can connect up to four cameras to the SC2000, and the chip has a video image real-time splicing function, the output image quality to 4K / 30fps. Equipped with SC2000 360 ° dome camera for high-end sports cameras and unmanned aerial vehicles and other applications. It also offers the perfect ball image for video conferencing systems, theaters and sporting events.